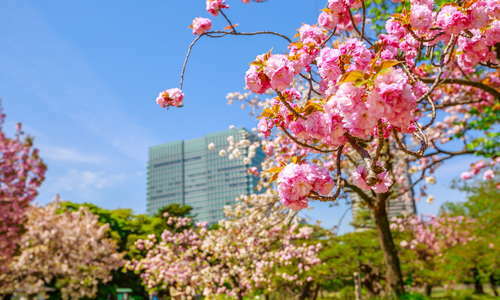 Japan may have experienced more than two decades of stagnation following the collapse of the asset-inflated "bubble" economy of the late ’90s, but one wouldn’t know it from the steadily increasing number of high-end hotels throughout the metropolis. As land prices subsequently fell, Tokyo's developers seized the chance to construct centrally located skyscrapers. Oftentimes hotels from international brands were installed on the upper floors of these glimmering towers. This boom has complemented the spare-no-expense approach taken by many of the domestic hoteliers a decade earlier, when soaring atriums, elaborate concierge floors, and oceans of marble were all the rage. The result: Tokyo's present luxury accommodations rival those of any big city in the world. Are there bargains to be had? Absolutely, but you'll have to do your homework, which has become an easier task with Tokyo set to host the Olympic Games in 2020, as operators are now increasingly aware of the foreign traveler on a budget. Lower-profile business hotels are decent bets for singles or couples who do not need a lot of space, and, in addition to hostels, exchanges, and rentals, the budget-conscious traveler can utilize plenty of Japanese accommodations: ryokan, minshuku, "capsule" hotels, homes, and temples. A number of boutique hotels—typified by small rooms, utilitarian concepts, and quirky, stylish elements—have popped up in Tokyo. Modern room furnishings of neutral hues are prevalent, but so are such Japanese touches as paper lanterns and tatami flooring. Reception areas are simple spaces bathed in dim lights and surrounded by earth-tone wall panels. Given that these accommodations often contain only a few floors, their locations are likely not easy to find. But when priced at around ¥20,000 a night, they can offer some of the best bargains in a city known for being incredibly expensive.